On a sunny but soon to be quite rainy Saturday afternoon we set off for Ealing to compete in the Ealing triathlon, a really nice and friendly race. Carys and I raced there last year but it was Issy’s first ever race. We set up our bikes and transition and then the heavens opened and there was thunder and lightening, transition was now very soggy! 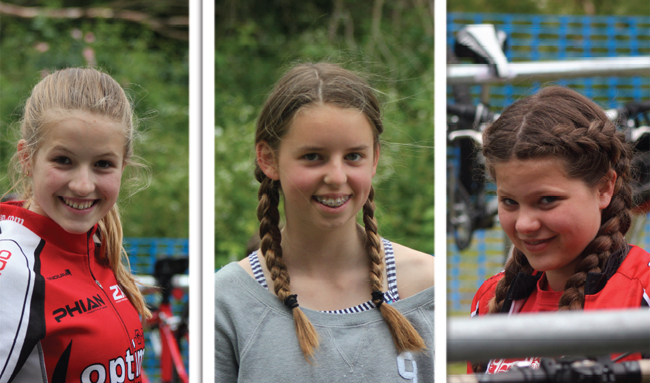 The race was eventful for all three of us, Issy had an excellent swim and good transition. Carys and I did an extra length (derrr!) and then all three of us came off our bikes 🙁 Issy hit her knee really hard so had to stop, Carys and I were luckier and managed to get back on our bikes. So on to the run, Carys was determined to finish and ran really well. I was just as determined but a little slower, I was a little disappointed as it wasn’t how I planned my race. At the end we were all smiling – eventually! 1. Remember how many lengths you are meant to swim. 2. Don’t cycle like a lunatic on a road bike when the bike section is on wet grass.